Move fast with measurable insights. Optimized for speed, control and clarity. Harbr manages the flow of information between multiple projects, vendors and contractors in real-time to ensure all team members are well informed. Harbr Platform is designed to take on the full life of the data surrounding your projects success so you can scale fast with confidence. We make sure the right data flows to the right project partners. Harbr’s built-in access controls ensures they only get what’s relevant to them. The same data that keeps momentum going is also used to bring insight. 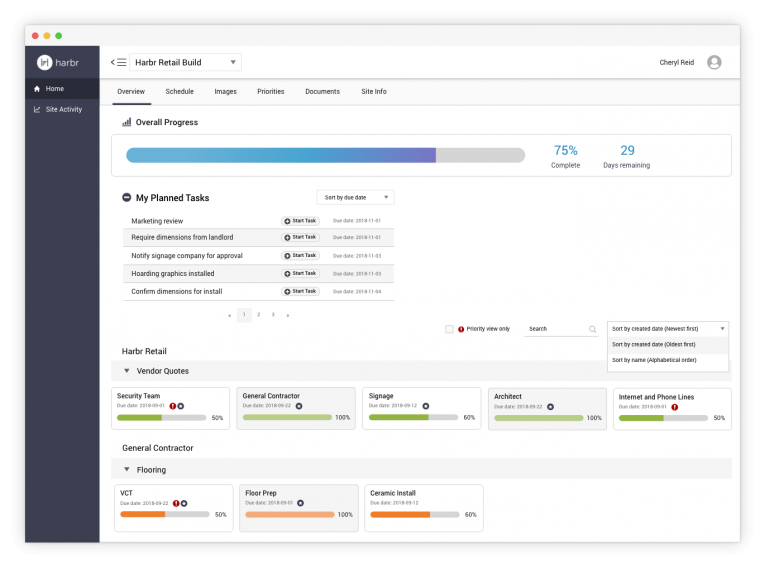 Analytics measure the success of task progress and project partners with complete clarity. Real-time collaboration, automatic task and deficiency reminders as well as smart triggers keep everyone on the same page and moving forward. Everybody working under one roof creates a single source of truth, which means less email, phone calls and text messages. Give Harbr a try today. Get started in just a few minutes!